Allowing Brett Gundlock to take moving portraits, the men and women traveling north reveal their hopes and fears. A group of migrants met in mid-October in San Pedro Sula, Honduras, and formed a caravan. The men, women, and children committed to help each other travel toward the United States, with dreams of a better future. Strength in numbers was the idea behind this and other caravans of migrants, which have been increasing in frequency and numbers. 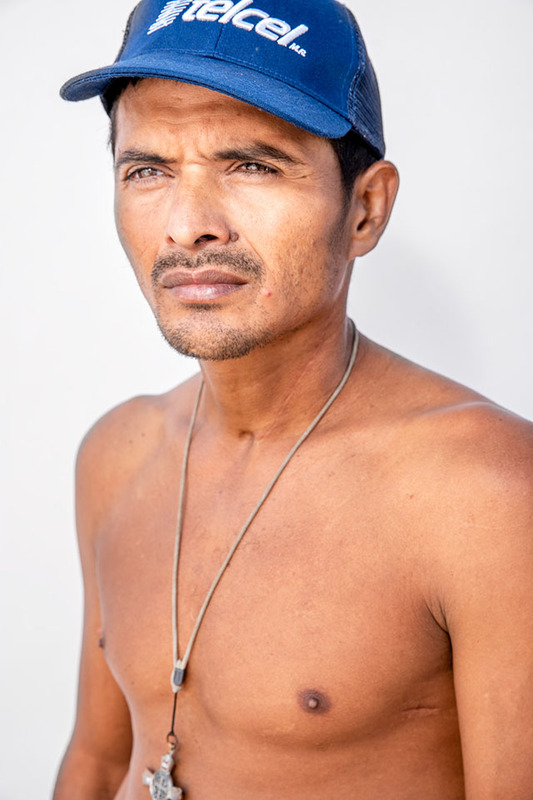 For this project, photographer Brett Gundlock photographed participants of the migrant caravan that has become the target of President Donald Trump’s frequent fits of rage. Gundlock’s goal was to record the testimonials of the individuals to add context to the motives of these migrants and asylum seekers. In early November, he set up a white background in the temporary camp in Mexico City, where they rested for a number of days. He then brought the white background on the road, as they loaded trailers and slept in parking lots. 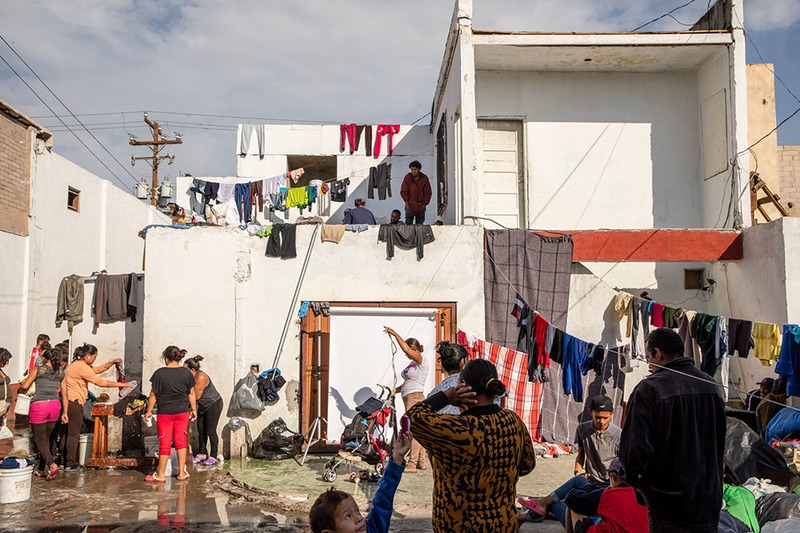 The last stop Gundlock made was in Mexicali, a three-hour drive from Tijuana, where many migrants from the caravan are now currently stuck—waiting to apply for asylum or weighing other dire options, including returning to their home countries. The future for these migrants and asylum seekers is as unclear as the day they left their home countries, but today, their journey continues. Arias and her daughter posed for a photo at a migrant shelter in Mexicali, Mexico. 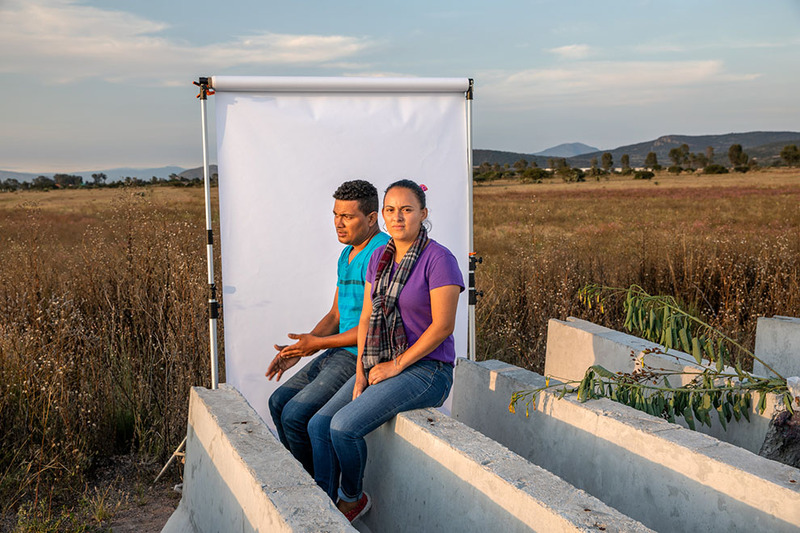 Manzanares was traveling with his girlfriend, Diana María Sarmiento Ramírez, when they were photographed resting at a temporary camp in Palmillas, Mexico. She had been working at a spa in San Pedro de Sula, but it closed due to the bad economy, and she decided she needed to leave in order to find work. She left her six-year-old daughter with her family. “She doesn’t want to talk to me right now because I left. When she’s mad, she won’t talk to me. I feel really bad about that, but this is for her, too. We have to move forward,” she said. Three years ago, Juárez was working as a security guard when he was injured by a drunk male walking through the streets, shooting randomly. When he called her to let her know he arrived in Mexico, she cried, but she understood his motivations and encouraged him to move forward. 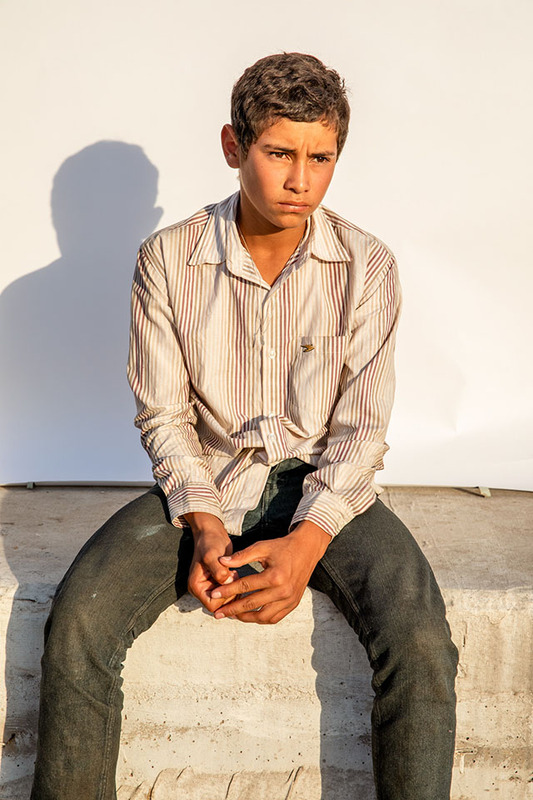 He was photographed at the Migrant Hotel in Mexicali. 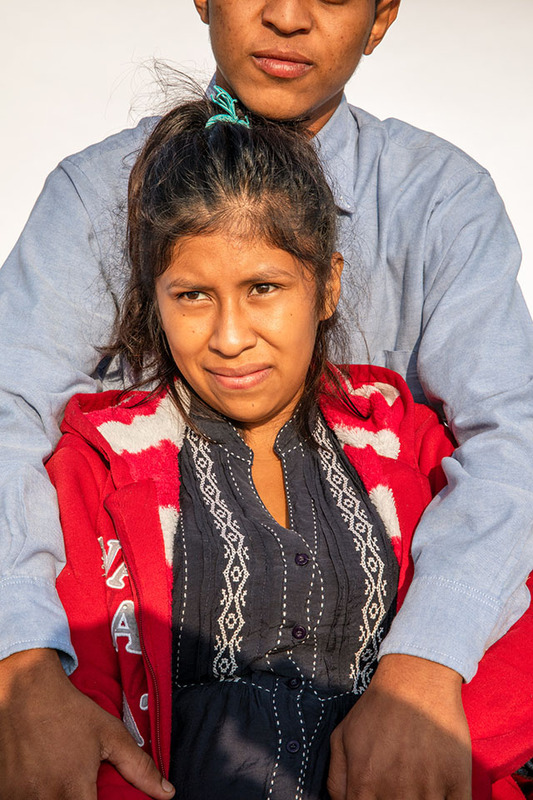 Karla González and her new boyfriend Juan, whose last name has been withheld, posed for a photo while waiting to load into a semi-truck trailer on the outskirts of Puebla. The couple has a caravan love story: They had met on social media, but did not meet in person until they were in Tapachula, Mexico. “When I came from my country, I never thought I would see her,” said Juan. 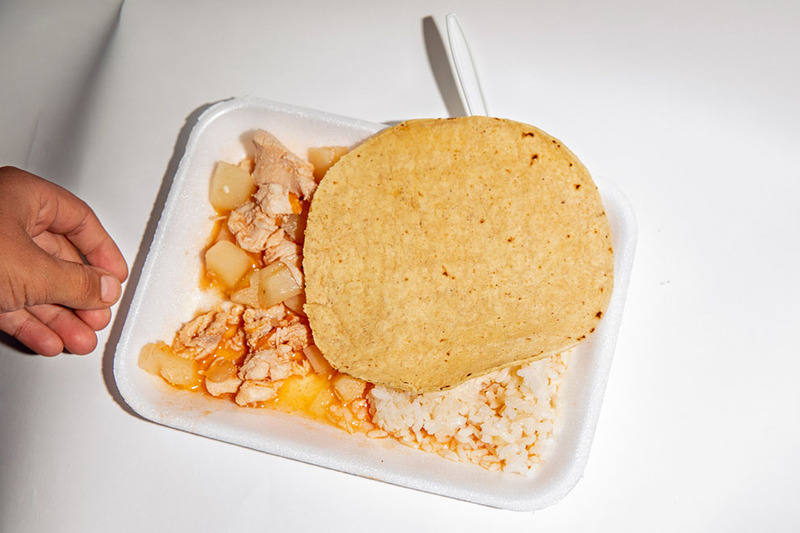 “I came to see her in Guatemala, but I did not speak to her; I just looked at her from afar. I turned my back and left. But there in Tapachula I talked to her… We went for a walk, I started talking to her, and that’s how we got to know each other, gaining more confidence. “I had a lot of problems in my home, but also in the street,” González said. “In the street, there is a lot of crime. I could not leave my house because there were two people trying to recruit me into the gangs. But I could not risk the life of my family, nor the life of my baby. “One day they threatened me in front of my mom. 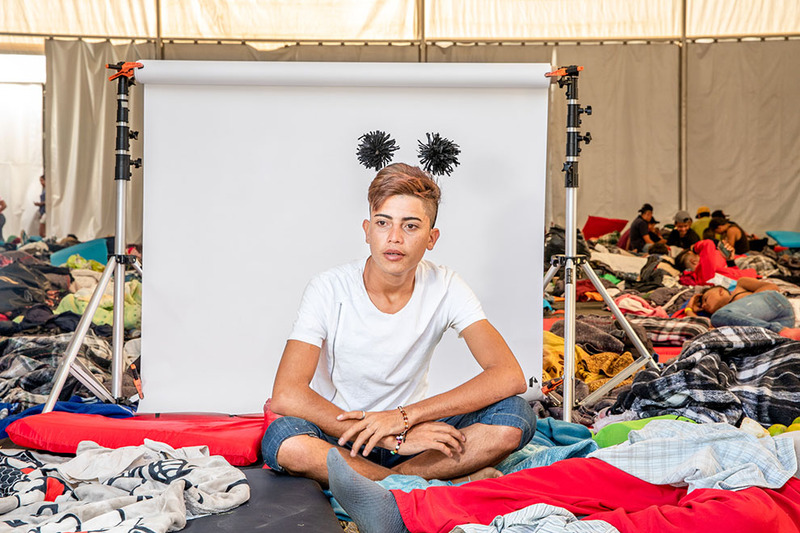 They told my mother that if she does not make me disappear, they would kill me there in front of my house, in front of all my brothers,” Meléndez said in the temporary migrant shelter in Mexico City. Meléndez is an up-and-coming soccer talent; he played in one of the top divisions in his region. He was about to advance to an adult league and play with people older than him, but he could not escape the gangs. They would hang out in front of his school, pressuring the kids to join. When Meléndez and his friends resisted, the gangsters took offense. His friends jokingly call him “Diablo” after he bought a number of red jumpsuits for his trip across Mexico. “They killed two of my friends. They killed two. They cut off their heads…Everyone knew who they were and the police did nothing,” he said. The gangs sent threats through Facebook, photos of guns and notes saying he would soon meet their knife. This is when Meléndez knew he had to leave. Matute didn’t consider going to law enforcement an option, and he didn’t want to face the gangs himself. 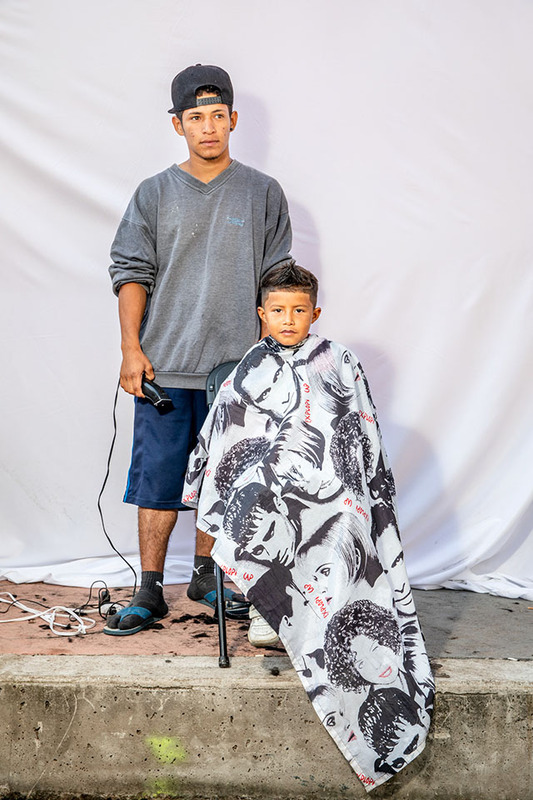 “I am traveling with my dad and cousin,” said Martínez while getting his hair cut at the camp in Mexico City. “The road has been difficult. 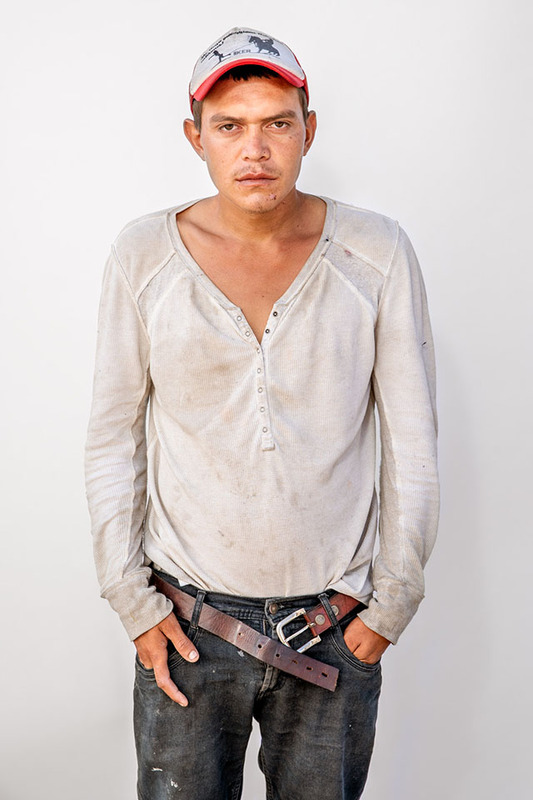 “In Honduras I cut hair and helped my father make doors,” said Manuel. “They charge you just for living—the tax of war, as they say.” The day he left, he had to pay his monthly bills for his barbershop, but that did not leave him with enough to pay the gangs their fee. “’I better go,’ I said. “I’m afraid of the gangsters. They say that if you leave the neighborhood and then later return, they will kill you. It’s like me—if I go back, they will kill me. None of us [in the caravan] can go back for the same reason,” he added. Macy, a single mom, was traveling with two of her children. 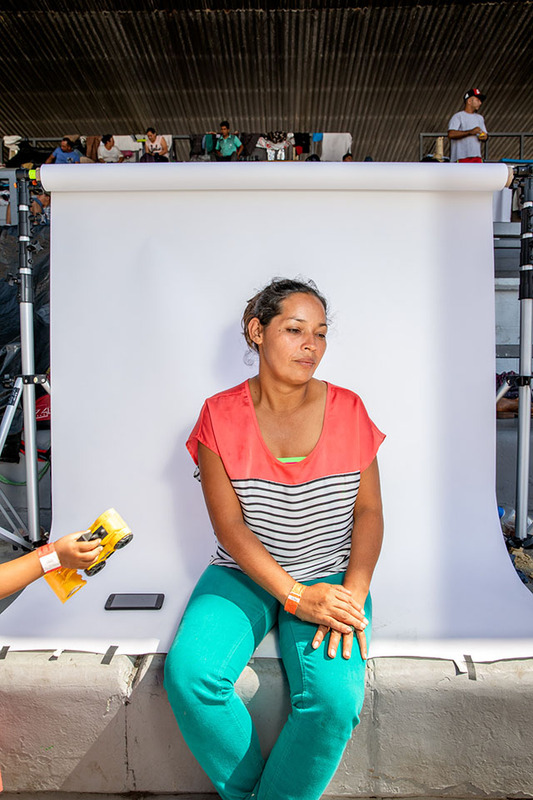 She was photographed in the temporary camp for migrants in Mexico City. They Came Here Seeking Freedom and Were Imprisoned Instead. Look at Their Faces.